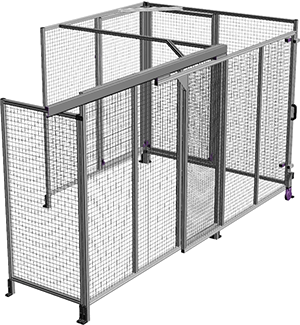 The industry leader in engineering & mechanical design support utilizing T-slotted extruded aluminum framing. Projects built to perfection from beginning to end. 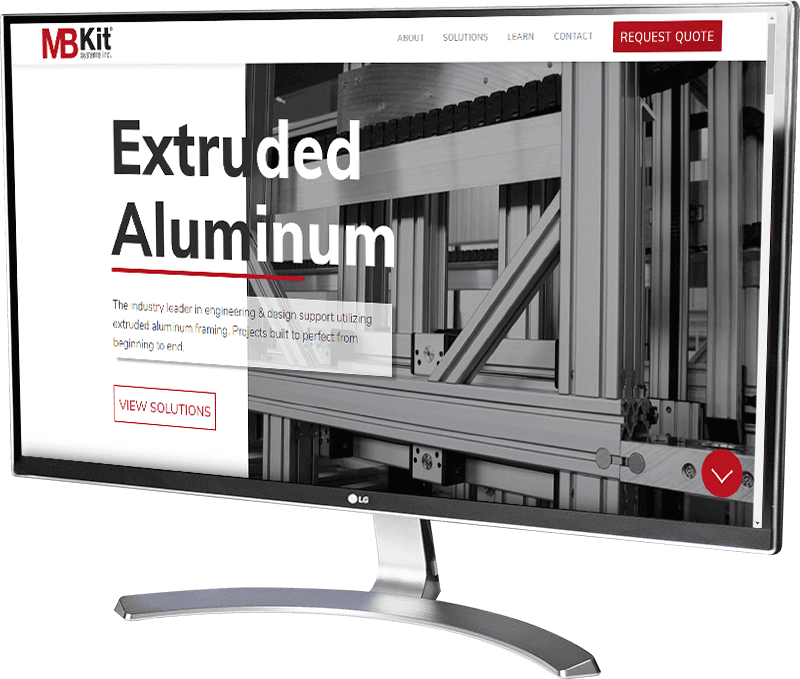 MB Kit Systems continues to push industry boundaries by creating the most advanced mechanical extruded aluminum solutions in a wide-range of applications. 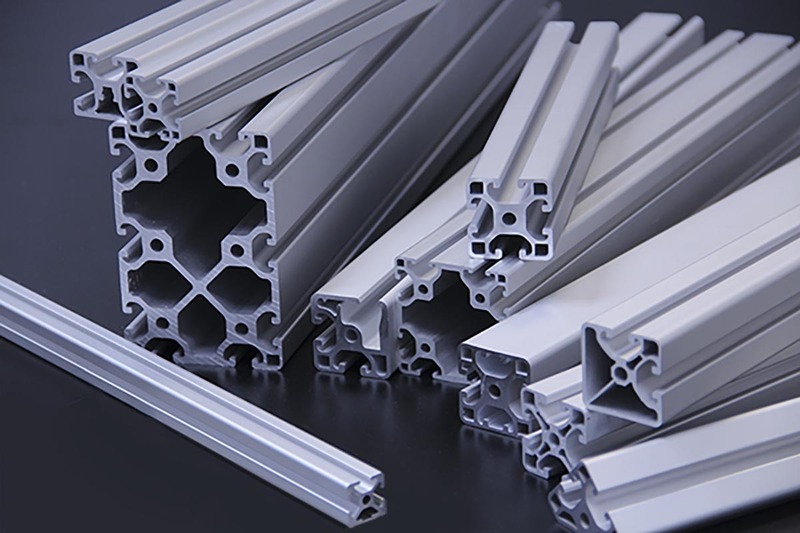 The forefront for the complex solutions designed and built is the high-quality, expansive extruded aluminum profile lines used for each project. 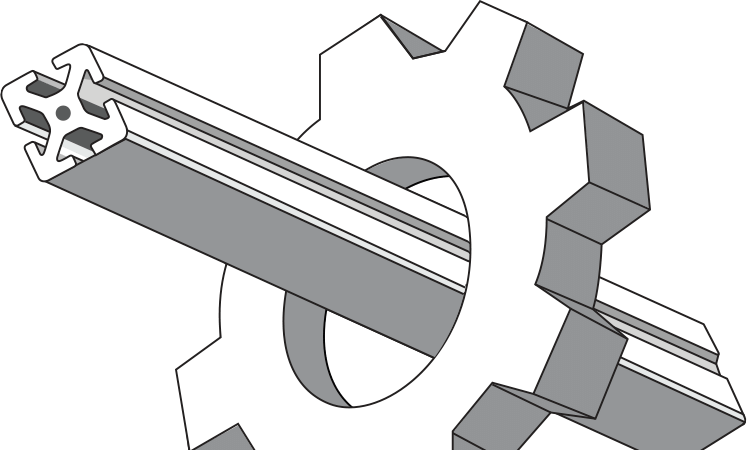 Profile line size and weight variances enable designs to maximize efficiency, while keeping costs low by utilizing the appropriate profile selection. Each project is specifically engineered to meet exact specifications at no-cost to the customer. Innovative T-slot profile and fastener technology allow for high straightness tolerances and joints to be as strong as welded steel. Structures and connections are also far lighter than steel and can be created much faster with a cleaner appearance. Project modifications, configurations and additions are quick and easy. Working in a variety of industries including aerospace, automotive, manufacturing and everything in between, there isn't a project requirement that surprises us. We specialize in creating solutions from the beginning of the project to the end, assisting in every step along the way. 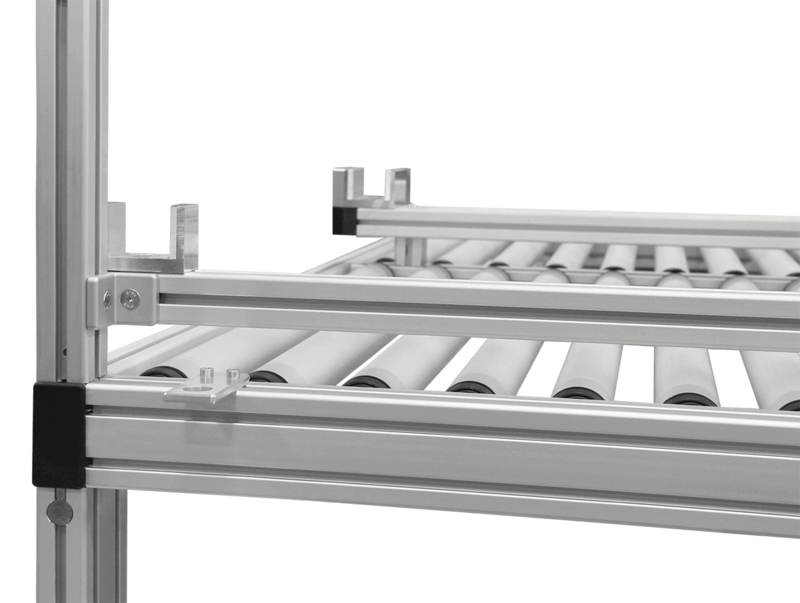 From designing belt-driven linear actuators with travel from a few inches to over 200 feet (60 m), lean production systems to increase manufacturing production efficiency, to simplistic framing applications such as carts, safety guarding, and ergonomic workstations. Projects are now hassle free. From the very beginning to end, we are with you every step of the way to ensure project requirements are met and on time, using the experience we have learned along the way. The start of something great. 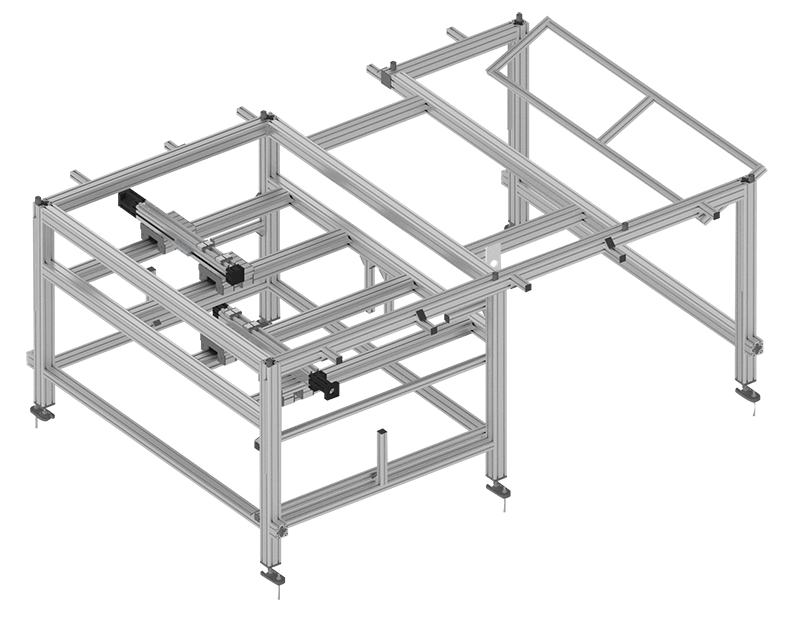 Plan your project with an MB Kit Systems' associate. Each team member is highly-experienced and knowledgeable with extruded aluminum and modular components to assist you with planning the entirety of your application. The inception of your application begins. 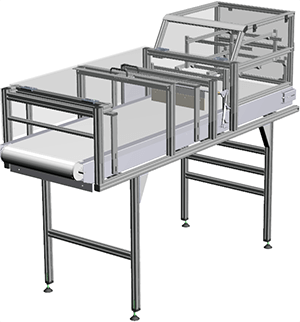 Whether you have a single unit or mass-production requirement, each project is paired with a project engineer to collaborate and work with you to make sure your design meets all necessary requirements. No-cost engineering is provided with any order. Your project comes to life. 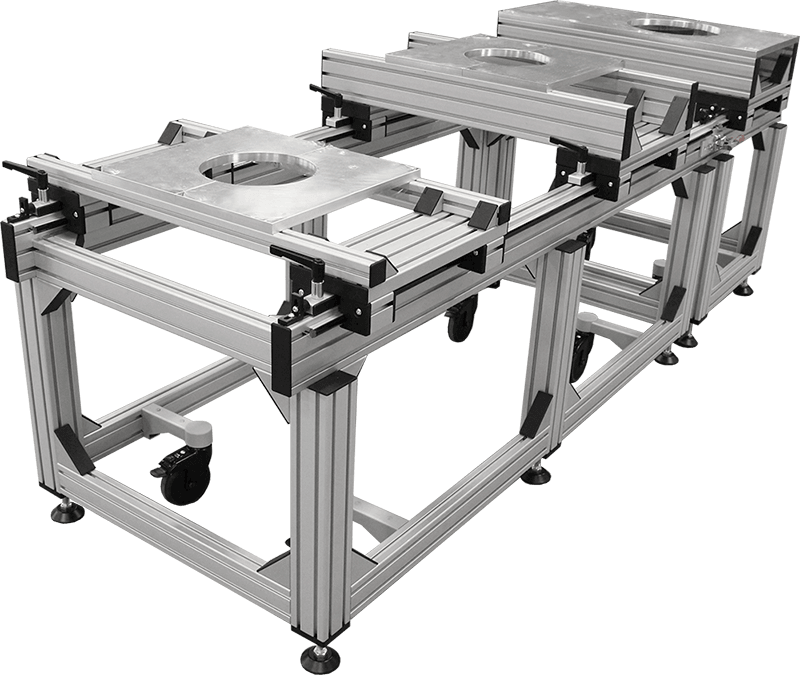 Projects are assembled quickly and accurate to specific design requirements. 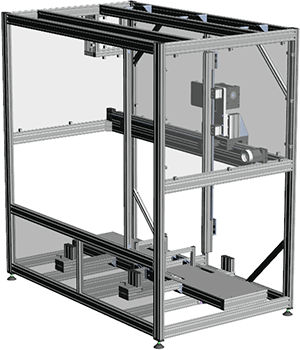 Depending on the requirement, MB Kit extruded aluminum projects can be fully-assembled, sub-assembled or shipped in pieces and parts.